Hershey, A. E. “Chironomid Community Structure In An Arctic Lake: The Role Of A Predatory Chironomic”. North Carolina State University, 1980. Hershey, A. E. “Benthic Community Structure In An Arctic Lake. Fish Predation Foraging Strategies, And Prey Refugia”. North Carolina State University, 1983. Hershey, A. E, and M. E McDonald. “Diet And Digestion Rates Of Slimy Sculpin, Cottus Cognatus, In An Alaskan Arctic Lake”. Canadian Journal Of Fisheries And Aquatic Sciences 42, no. 3. Canadian Journal Of Fisheries And Aquatic Sciences (1985): 483-487. doi:10.1139/F85-065. Hershey, A. E. “Effects Of Predatory Sculpin On The Chironomid Communities In An Arctic Lake”. Ecology 66, no. 4. Ecology (1985): 1131-1138. doi:10.2307/1939165. Hershey, A. E. “Littoral Chironomid Communities In An Arctic Alaskan Lake”. Holarctic Ecology 8, no. 1. Holarctic Ecology (1985): 39-48. doi:10.1111/j.1600-0587.1985.tb01150.x. Peterson, Bruce J, John E Hobbie, A. E Hershey, M. A Lock, T. E Ford, J. R Vestal, V. L McKinley, et al.. “Transformation Of A Tundra River From Heterotrophy To Autotrophy By Addition Of Phosphorus”. Science 229, no. 4720. Science (1985): 1383-1386. doi:10.1126/science.229.4720.1383. Hershey, A. E. “Selective Predation By Procladius In An Arctic Alaskan Lake”. Canadian Journal Of Fisheries And Aquatic Sciences 43, no. 12. Canadian Journal Of Fisheries And Aquatic Sciences (1986): 2523-2528. doi:10.1139/f86-312. Hershey, A. E, and A. L Hiltner. “Effect Of A Caddisfly On Black Fly Density: Interspecific Interactions Limit Black Flies In An Arctic River”. Journal Of The North American Benthological Society 7, no. 3. Journal Of The North American Benthological Society (1988): 188-196. doi:10.2307/1467418. Hershey, A. E, A. L Hiltner, M. AJ Hullar, M. C Miller, J. R Vestal, M. A Lock, S. Rundle, and Bruce J Peterson. “Nutrient Influence On A Stream Grazer: Orthocladius Microcommunities Respond To Nutrient Input”. Ecology 69, no. 5. Ecology (1988): 1383-1392. doi:10.2307/1941635. Merrick, Glenn W. “Lake Trout (Salvelinus Namaycush) And Benthic Community Ecology In An Arctic Ecosystem”. University of Minnesota, 1989. McDonald, M. E, and A. E Hershey. “Size Structure Of A Lake Trout (Salvelinus Namaycush) Population In An Arctic Lake: Influence Of Angling And Implications For Fish Community Structure”. Canadian Journal Of Fisheries And Aquatic Sciences 46. Canadian Journal Of Fisheries And Aquatic Sciences (1989): 2153-2156. doi:10.1139/f89-266. Goyke, A. P. “Effects Of Fish Predation On Chironomid (Diptera: Chironomidae) Communities In Arctic Lakes”. University of Minnesota, 1990. Hinterleitner-Anderson, D. L. “The Effects Of River Fertilization On Mayfly Drift Patterns And Population Density In An Arctic Ecosystem”. University of Minnesota, 1990. 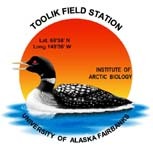 Hershey, A. E. “Snail Populations In Arctic Lakes: Competition Mediated By Predation”. Oecologia 82, no. 1. Oecologia (1990): 26-32. doi:10.1007/Bf00318529. Merrick, Glenn W, A. E Hershey, and M. E McDonald. “Lake Trout (Salvelinus Namaycush) Control Of Snail Density And Size Distribution In An Arctic Lake”. Canadian Journal Of Fisheries And Aquatic Sciences 48. Canadian Journal Of Fisheries And Aquatic Sciences (1991): 498-502. doi:10.1139/f91-064. Merrick, Glenn W, A. E Hershey, and M. E McDonald. “Salmonid Diet And The Size, Distribution, And Density Of Benthic Invertebrates In An Arctic Lake”. Hydrobiologia 240. Hydrobiologia (1992): 225-234. doi:10.1007/BF00013464. McDonald, M. E, and A. E Hershey. “Shifts In Abundance And Growth Of Slimy Sculpin In Response To Changes In The Predator Population In An Arctic Alaskan Lake”. Hydrobiologia 240. Hydrobiologia (1992): 219-224. doi:10.1007/BF00013463.